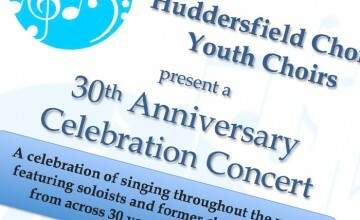 The Huddersfield Choral Youth Choirs are a registered charity (Charity No. 1100851). Our principal sources of income are members’ subscriptions, concert fees, ticket sales, fundraising events and donations for specific concerts, as well as through our Friends’ scheme. Friends’ donations play an important role in supporting the day-to-day running of the choirs, and their generosity over the years has enabled us to provide additional activities which offer varied musical experiences for our members. Through our Friends’ scheme you could make a donation of any amount; any and every donation is very welcome, and would greatly assist the running of the choirs. We hope you enjoy seeing the benefits of your donation by attending our concerts and keeping up-to-date with choir events on social media and our website. If you are a UK taxpayer you can enhance the value of your donation through the Gift Aid scheme. By filling out the Gift Aid form (downloadable from this page), 25p of every pound you donate will be reimbursed to the choirs, therefore increasing your donation at no extra cost to yourself – for example, a donation made through the Gift Aid scheme would increase a £50 donation to £62.50, which would be of huge benefit to the Youth Choirs. Please give your name(s) as you wish it/them to appear in concert programmes and other Youth Choirs literature. If you wish to renew your Friends donation, please send your cheque to the aforementioned address, including a completed Gift Aid form. All cheques should be made payable to HCS Junior Choirs. If you are a UK taxpayer, please enclose a completed Gift Aid form, as this will greatly increase your donation. If you have any queries, please do not hesitate to get in touch using this form, or call Steve on 01484 301610. We look forward to hearing from you and to meeting you at our concerts this season.